WHAT IS CBD VAPE OIL? CBD vape oil is a liquid extract that can be vaporized and inhaled. Many CBD users choose vape oil because it is a quick and effective way to get the many health benefits of CBD anytime and anywhere. ANY SIDE EFFECTS? CBD oil is safe, all-natural, legal, and has little or no known side effects, including no psychoactive effects. WHY CBDFX? All of our CBD oils and other products are extracted from organically grown, non-GMO cannabis plants. They have no toxic pesticide residues or other harmful chemicals. All of our other ingredients are high quality—containing no cheap fillers or anything else that dilutes their effectiveness. Can you use CBD oil for pain relief? Many of our customers specifically buy CBD oil for pain and inflammation relief. Available research indicates that CBD may reduce pain by inhibiting neuronal transmission in pain pathways. A 2012 study suggests that CBD may have a bright future as a therapeutic agent that can treat chronic pain, without the analgesic tolerance that results from so many other pain treatments. Keep in mind that medical research surrounding CBD’s potential is still in its infancy, but anecdotal reports from users discussing CBD and pain relief can be found in large numbers both in our reviews section and elsewhere online. Can CBD hemp oil be used for anxiety? A large percentage of our customers use CBD hemp oil for anxiety relief, as evidenced by the testimonials and reviews on our site. The effect of CBD is different for each person, and we’re not in a position to make any definitive medical claims about CBD’s palliative effect on anxiety. However, there is a wealth of research that exists pointing to CBD’s likely efficacy as an anxiolytic (anti-anxiety) option. The best course of action is always to consult with your personal physician first, and then try CBD for yourself to determine if it provides you with anxiety relief. Can you use CBD oil for seizures? Arguably the number one most promising potential medical application of CBD surrounds its effect on individuals who suffer from seizures. The Independent recently covered a story about an 11-year-old boy with intractable epilepsy who went over 300 days seizure-free after beginning treatment with CBD. Since CBD is still in the early days of approval and research regarding medical use, it would be highly irresponsible to imply that CBD causes epilepsy and seizures to abate. However, it’s not a stretch to say that medical scientists are optimistic about what initial research shows in regards to CBD’s benefit to people who suffer from seizures. What are some other CBD hemp oil benefits? The full extent of CBD hemp oil effects is only beginning to be understood by researchers. CBD is truly in its infancy in terms of investigating the range of potential benefits possible, but laboratory studies and users have also reported anti-psychotic effects, nausea relief, improved cardiovascular health, and lower incidence of diabetes. Is CBD oil for vaping only? There’s a lot of names out there for high potency CBD hemp oil -- you might have heard it called CBD e-liquid, CBD drip, or a host of other monikers. But the truth is, while the majority of users will choose to vaporize the oil, it can also be applied directly to the skin or used as a CBD tincture (under your tongue). The best way to achieve your desired result with CBD is to experiment with different delivery systems to see what you prefer. What is CBD vape oil additive? Vaping is the fast way to ingest CBD—you begin to feel better almost immediately after you release the vapor. With CBD vape oil additive, you can get the health benefits of CBD whenever and however you vape. It’s blended to work with any vape juice you enjoy. CBDfx CBD vape additive is the best because it’s made with three high-quality components, starting with full-spectrum, organic CBD oil, which is extracted without toxic solvents. It’s mixed with propylene glycol and vegetable glycerin, which are commonly included in all kinds of vape juice to help the oil heat up properly and produce vapor. 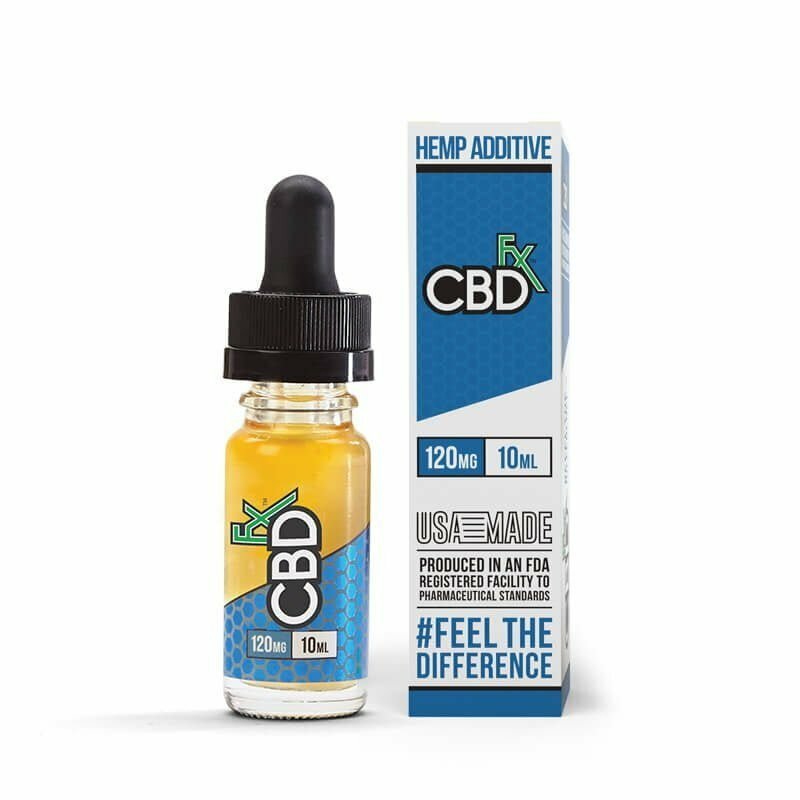 To use CBD vape oil additive, just add one drop to a tank of your favorite vape juice. After you see how that feels, gradually increase the number of drops to get the right dose of CBD for you. Some users prefer to vape the CBD oil additive alone. If you try that, you’ll notice it tastes like herbal or green tea. What is the difference between CBD sublingual oil and CBD oil additive? Shortest answer: The former is best taken orally, and the latter is best for adding to flavored vape juice. 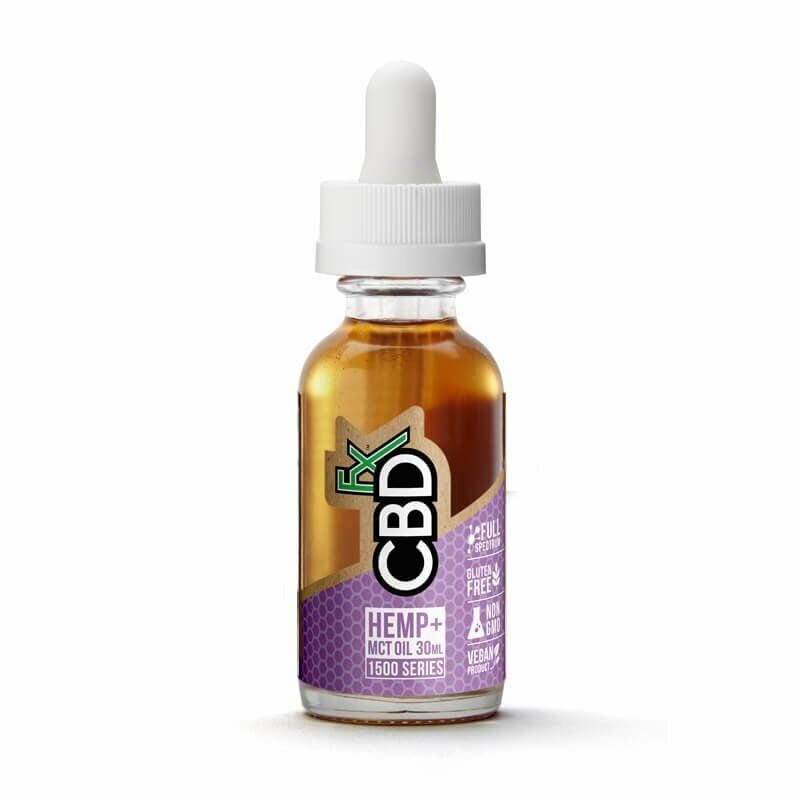 Both CBD oil and CBD vape oil additive are formulated with full-spectrum, organic CBD oil, which includes potent nutrients such as amino acids and terpenes. In CBD sublingual oil, the hemp oil is combined with MCT (medium-chain triglyceride) oil that’s derived from coconuts. They work together to help your body absorb the CBD quickly through the capillaries beneath your tongue or more slowly through your digestive system. CBD vape oil additives are made with propylene glycol and vegetable glycerin, food-grade ingredients used in most high-quality vape juices. Even though you can orally ingest CBD vape oil additive, it’s designed to be vaporized. Most users put a drop or two in a tank of their preferred vape juice, though some people vape the additive alone. Why is CBDfx the best CBD oil on the market? If you want to compare different brands of CBD vape oils, begin by checking out all of their ingredients. CBDfx CBD vape oil comes from organically grown hemp plants that are raised on our partner farms in Europe. The oil is extracted from hemp plants using a nontoxic CO2 process, not with the harsh solvents many brands use. Our organic CBD oil is blended with other natural, high-quality ingredients, such as vegetable glycerin and MCT oil from coconuts. So many brands make promises about the CBD content of their products, but how can you know the truth about them? All of our products are tested by an independent laboratory to confirm their quality and purity, and you can check the lab reports for yourself. CBDfx CBD vape oil additive comes in different concentrations, so you can find the right dose for your needs. Can I vape all of your CBD oils? CBD vape oil additive works well with just about any kind of vape juice you like. The additive’s hemp oil is blended with two ingredients, propylene glycol and vegetable glycerin, which are used in high-quality vape juices so the oil produces robust clouds of vapor. CBD sublingual oil is not an ideal choice for vaping. It contains MCT (medium-chain triglyceride) oil from coconuts. This blend works best for taking orally, either with a few drops under your tongue or mixed in with food or drinks. What ailments is CBD vape oil additive best for?